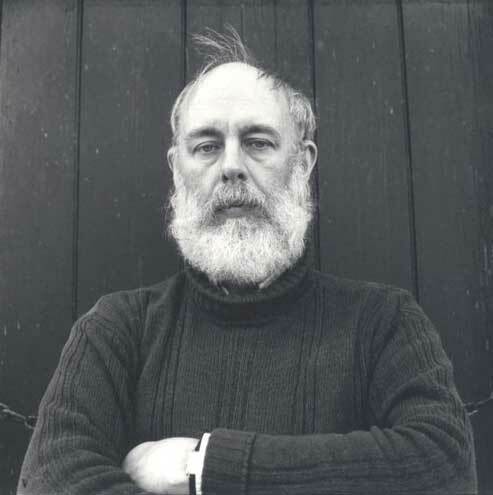 Over the years, Edward Gorey collected twenty-one fur coats, which he was notorious for wearing with Converse sneakers, often to the New York City Ballet. Sometime in the eighties, however (he died in 2000), Gorey seems to have had a change of heart. He opened portions of his home to a family of raccoons that finally settled in the attic. According to a tour guide at the Edward Gorey House, this was an act of penance; Gorey felt guilty for wearing their fur. At some point he locked up his coats in a storage facility. In his will, he left his entire estate to the care and welfare of animals. Among the many beneficiaries of the Edward Gorey Charitable Trust: the Xerces Society, dedicated to biological diversity through invertebrate conservation; the Bat Conservation International Foundation; and the Animals League of Boston (Cape Cod branch). But because of this commitment to our furry friends, the Edward Gorey Charitable Trust faced a difficult decision when it came to his coats. The NYC auction was visited by what Devers describes as "Gorey’s most devoted admirers," who each had wanted some tangible piece of Edward Gorey to call their own. The irony here is that Gorey had long since locked away his furs and stopped wearing them for a very specific ethical reason. He had come to an awareness and enlightenment about what that coat communicated, how it was made, and the dangers posed to other animals from making it an acceptable fashion statement. The eager devotees and the estate trustees did not seem interested in the fact that the artist they loved so much, whose intentions were clear, would probably ask them to refrain from wearing the coats out in public. In the comments section of Devers article, she defends her wearing of the coat against Discerning Brute contributor Matt Lara's criticism. She says, "I plan on honoring and respecting the coat for its story and history, which I find considerable value in. It is a part of Gorey’s legacy, just as his beautiful drawings of fur coats are a part of his legacy. Should we shut those drawings away in a storage facility too?" Ms. Devers, we should no sooner shut away drawings of fur than we should shut away fictional representations of anything unethical. The difference is, a drawing was not made by the torturous death of 40 animals - who are typically anally and vaginally electrocuted, bludgeoned, gassed, or have their necks snapped on fur farms - or who are trapped in the wild where they starve to death, bleed to death, or chew of their own limbs to escape. Some who are uncomfortable with the reality of fur production call this position uptight, but I call it a clear and honest consistency with the values most of us already share. The problem is a disconnect between the physical reality of fur production vs. the mythology of the fur coat form. I am so glad we have the same perspective on taking a garment that represents incredible cruelty and finding a way to wear it with honor. I had a similar experience with KKK regalia. I went to an auction of vintage American costumes, one of which was a KKK hood. As it turned out, the racist who had once donned this hood had a change of heart and decided that hating certain people was not ethical - and he ended up leaving all of his estate money to help combat hate. I was so excited to win the hood, and when I wear it, I know the money went to a good cause. I certainly won't be "parading around" in this either. I'll be honoring and respecting the hood for it's "story and history". You might be thinking - how can I - nay, how dare I compare racism with speciesism! All I am pointing out is that fashion is a powerful form of visual communication. When it comes to living, feeling animals with central nervous systems, who cry out and struggle to escape assault, and who do their best to say "no" - a fur coat's meaning is simple; it means you hate animals. If not, how else could you justify wearing it? For those who think this is brash, I'd question if they've ever seen conditions on fur farms or know why so many countries are outlawing and phasing out fur farming like Denmark, Scotland, Ireland, The UK, most of Austria, and The Netherlands? WWEGD? Those of you out there who won the coats - whose hard-earned money went to animal welfare organizations - I would ask you to take it one step further, if you are truly a fan of Edward Gorey; a fan of the man himself, and not just of the art. Why not donate the coat you won to coats for cubs or the homeless and turn a product that represents indifference to suffering into a life-saving object?